On this week’s Social Media Marketing Talk Show, we explore Facebook rolling out a business page redesign on mobile with Andrea Vahl, Facebook bringing mentorship to Facebook groups, and other breaking social media marketing news of the week! If you’re new to the show, click on the green “Watch replay” button below and sign in or register to watch our latest episode from Friday, August 10, 2018. You can also listen to the show as an audio podcast, found on iTunes/Apple Podcast, Android, Google Play, Stitcher, and RSS. 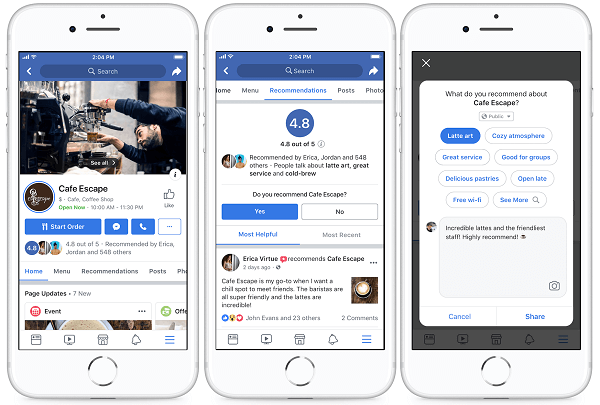 Users can now browse a Local section of the Facebook app and a stand-alone Facebook Local app for businesses around you, see what places are most recommended, and check out which events your friends are attending. 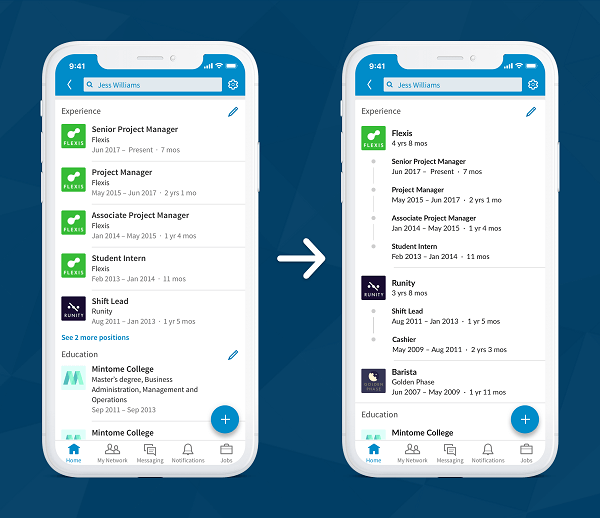 LinkedIn Highlights Career Histories in Experience Section on Profiles: LinkedIn will now automatically group consecutive positions within the same organization in the experience section of profiles. This new design feature is starting to roll out on desktop and mobile in the U.S. this week and will be available globally to all members in the coming weeks. 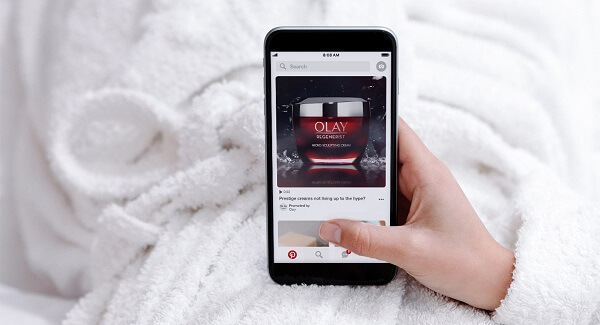 Pinterest Expands Promoted Video at Max. Width to All Brands: Pinterest began testing Promoted Video at max. width with select brands in May 2018. This week, Pinterest announced that Promoted Video at max. width is now available for all Pinterest advertisers. Pinterest notes that “videos at standard width are the same size as all other Pins on Pinterest and videos at maximum width are approximately 4x bigger, spanning across Pinterest’s iconic two-column grid.” This new video format option is available through Pinterest Ads Manager and Pinterest Marketing Partners. Facebook Messenger Adds Video Chat to AR Games: Facebook Messenger added multiplayer video chat with up to six people to two AR games, “Don’t Smile” and “Asteroids Attack,” and plans to roll out this feature to more games “in the coming weeks and months.” Video Chat AR Games is available globally with the latest version of Messenger. Facebook Replaces Share Button With Messenger Button: Facebook appears to be running a test that replaces the Share feature with a new button that prompts users to share a news feed post on Messenger. 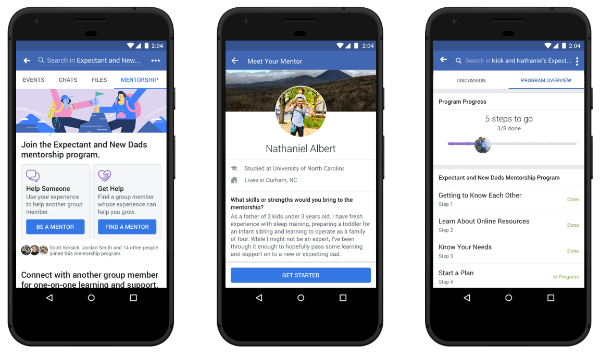 This new format shifts Facebook sharing from open, public posts to private conversations and could significantly impact engagement on the platform if it’s more broadly rolled out. This experimental feature was shared by Matt Navarra. Snapchat’s average revenue per user (ARPU) increased by 34% to $1.40 for the quarter, from $1.05 in Q2 2017. The company also announced that it now has 100 million monthly active users in the U.S. and Canada. Amazon Launches Alexa SDK for Auto: VentureBeat reports that Amazon released an open source Alexa Automotive Core (AAC) SDK, or Auto SDK, to help automakers integrate Alexa voice control into cars and their infotainment systems, screens often used for navigation, media, or climate control.